Choose among the different UK retailers on where you can get the best cheap cable deals and bargains. Here you will find the latest cable discount codes and special offers to help you save money. Get as much as 60% off when you buy from Amazon, TK Maxx, Argos, and other UK sellers. Our massive community of bargain hunters has gathered the best cheap cable offers, deals, and voucher codes. Take this wonderful chance to find what you are searching for and get them at very low prices. Get great value for your money. All the best cable deals available online! The importance of cable, especially on gadgets, is obvious today. Usually, it is made up of an assembly of wires that insulate and transmit electrical signals and powers. Surely, it comes with so many uses. It also serves as a connector system that makes electricals work. One good example of a cable is found on a USB-C. This is also referred to as the USB Type-C. It has a 24-pin USB connector system that has the ability to distinguish through the two-fold rotationally-symmetrical connectors. From a thermal cut-out, phone charger, controllers, to computers, the term cable is really applicable in many ways. Moreover, the most common type of cable available now is the USB cable. It is ideal in the connection of peripheral devices including printers, cameras, scanners, printers, and others. It is also found in a ton of your useful appliances at home. 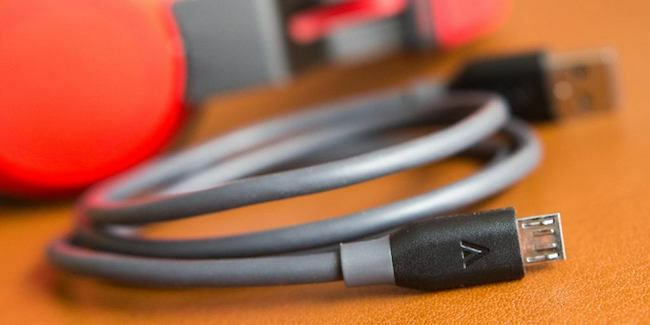 Electronic devices such as fitness trackers, smartphones, tablets, and others - have individual cables. Do not underestimate these freebies. It has been proven that a single cable has the ability to give you freedom in the use of your gadget. Look for the UL certification. This is usually a safety certification issued by the Underwriters Laboratory or UL. There are much low quality and uncertified chargers out there, you do not want to fall a victim of them so check this certification. Determine the number of ports that you prefer. The idea is you have to be sure that you have the right ports to charge your electronic devices. So if you have two devices - you should not limit yourself. Check out its port amperages. They have amperage yields that you must be very particular about. They would tell how quickly your gadget will charge, and more. Amazon Basics Apple Certified Retractable Lightning to USB Cable. Retractable cables are the thing now. They are the best option if you are trying to find a product that will secure you from a tangled mess. If you always bring your charger on your bag, this is the best choice. This is a convenient pick from the AmazonBasics that has obtained the best reviews from customers. Lastly, it is also praised for its two feet-length. You can check that out. Syncwire Micro USB Cable 2-Pack. With its many uses, you can never go wrong with Syncwire. This is a good idea most especially if you are in need of handy MicroUSB cables all the time. What is even better is that this is also affordable. If you are looking for a nylon-braided design that goes right for the budget, this should be efficient for you. There will not be any shortage of quality and durability. Anker Powerline Micro USB/USB-C. Anker is intended for Android smartphone users. It is highly recommended because it is cheaper considering the choices for Apple. Since it is a lightning cable, it also goes with an 18-month warranty. That is how sure the brand is towards its product. Apple USB-C Charge Cable. You might be wondering while an Apple cable is recommended for non-Apple devices. Thus, the USB-C standard has really changed a lot. This six-and-a-half-foot USB-C cable is fairly logical with its price. It is even multi-purpose for it can also charge your MacBook too. Anker PowerLine + II Lightning 10 Feet. If you are one who loves to be on your tablet or smartphone all the time, you will find this cable useful. It will make your activities less awkward. This is not only long. This is also durable because it comes with a tensile strength that can support anything. There is also a lifetime warranty. This is already a good deal. Take advantage of the various cable deals around for you. Here at Latest Deals, you can own a cheap cable that does not compromise its quality. 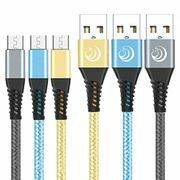 Just ensure that you always check our offers for USB C cable, micro USB cable, and many more to make your shopping easier. Benefit from what we have here for a long USB charging cable. You can buy USB to USB cable, USB to USB C cable, a mobile charger circuit, double USB cable and others. With all of these, we have got you covered. 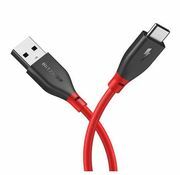 Our massive community of bargain hunters is always on the lookout to find the best USB to USB cable Argos and USB to USB cable Currys deals. We also have discount codes, deals and special offers for you. You can also seek our team of money-saving experts who regularly share essential tips and tricks that can help you get some serious money off on your online and instore purchases for mobile battery charger, etc. Most UK retailers have sale events, seasonal clearance, and flash sales where you can even get a 70% off on a male to female USB cable, portable iPhone 7 charger or Samsung j5 charger. They also reduce their prices during Black Friday, Cyber Monday, and Boxing Day. But if you want to maximise your savings, make sure to use the latest cable discount codes you can search here. There are also voucher codes where you can get freebies and free shipping for cable.